D. T. Suzuki, the scholar of Japanese religion, key early promoter of Zen to the West, was attending an Eranos conference in Switzerland in the 1950s, when in conversation with the Islamic scholar, Henri Corbin, he referred to Swedenborg, the eighteenth century scientist and visionary of Heaven and Hell, as the "Buddha of the North". In an earlier phase of his life, Suzuki had devoted a five year period to the intensive study of Swedenborg from which had come both translations of some of Swedenborg's key works (from the English to the Japanese) and two studies - a biographical introduction and a comparative essay on Swedenborg and Buddhism. These two latter texts were reproduced in the mid 90s, in an English translation, courtesy of the Swedenborg Foundation together with introductory apparatus and a fabulous afterword by the Buddhist and comparative scholar, David Loy, as 'Swedenborg: the Buddha of the North'. "The Natural Depth in Man" is the clinical psychologist and (self-confessed) mystic's, Wilson Van Dusen's phenomenological account of aspects of human experience, suggesting that though the unexamined life, according to Socrates, is not worth living, most of us, much of the time settle for worthlessness (my words not his)! Visionary religious or ghostly dreamer? 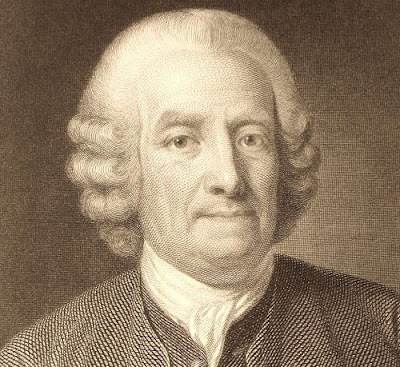 Swedenborg is often feted by his followers as a scientific genius whose findings anticipated any number of new discoveries in the many areas of his interest. Turning visionary, it is implied, he carried this genius with him and, thus, must be taken equally seriously as a prophet of a New Jerusalem. 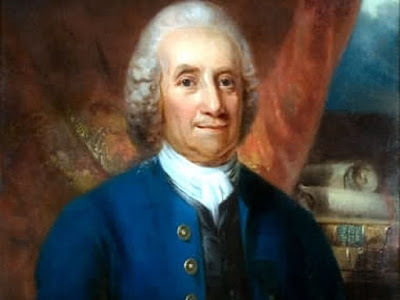 Lars Bergquist patient, clearly constructed, if a touch pedestrian, biography is a sobering response to such breathlessness that, however, does not leave Swedenborg anything less than a remarkable figure. There is a deep irony on reading the latest volume of Sabbath poems by Wendell Berry on an airplane given the author's reservation to any technology that alienates us from place or consumes unnecessary resources (though this does not result in a complete ban for certainly the two occasions on which I have met Wendell have required him to utilize flight). 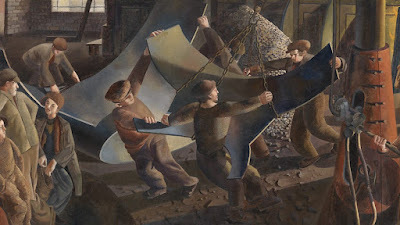 It is a romantic thought - having an island - though what precisely makes an island especially romantic is a complex notion - a defined space, bounded yet open to the sea, a getaway into seclusion yet within your control, with a community shared both human and natural, present carrying histories. Islands, however, are real places and though they can and do have romance to them, their real stories carry a great deal more complexity - after the romance, the hard, patient work of marriage comes, and, like marriage, can often fail. 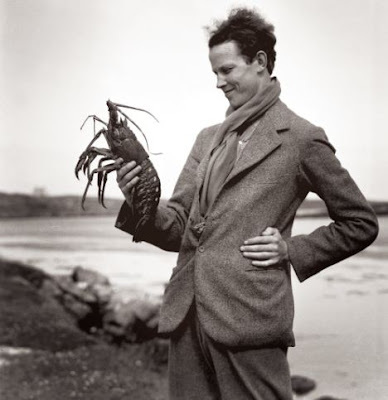 John Lorne Campbell's possession of (and by) the Scottish island's of Canna in the Inner Hebrides, purchased in the 1930s and surrendered into the hands of the National Trust for Scotland in the 1980s, was such a complex affair. "Old Man Goya" is a book, judging from its Amazon reviews, that divides opinion. You can see why. 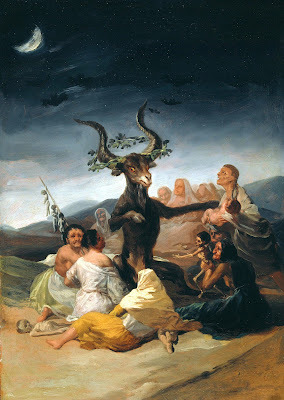 If you approach it imagining a detailed, well argued art historical text that expands or supplements your existing knowledge of the second half of Goya's life, when illness rendered him completely deaf, you will be (and have been) sorely disappointed. Julia Blackburn's task is not to inform (though it does) but to help you imagine what it is like to see as Goya saw, recognising both the possibilities and difficulties of this task. She rather brilliantly brings to life Goya's seeing, weaving his paintings back into speculative but realistic portraits of his daily living. One of the key signs of being touched with the mystical life according to Wilson Van Dusen is humility. This is deeply appropriate because Van Dusen's own quiet practice of the mystical life has passed by, little noticed indeed only his focus on Swedenborg (pictured above) has meant that some of his books remain in print courtesy of Swedenborg's contemporary followers. This relative obscurity is not for want of living a very full life - a friend of his once suggested, at least, seven lives that ranged from a fully licensed sea captain to a clinical psychologist treating people both severely in the grip of their malady and in that grip inflicting, criminally, pain on others.